There are days where I feel like I have this parenting thing under my belt…and then there are days where it just completely gets the best of me. Ironically, those days actually have very little to do with my children and are more a product of outside stressors wearing on my patience, or a severe lack of sleep. Parenting can be tough, it can be messy, and it can be hard. In my studies of psychology in graduate school, I learned about being an authoritative parent, attachment parenting, and positive parenting. Given all of my research, I should have the appropriate knowledge to be a stellar parent right? If only it were that easy. Often, like children, we know WHAT we should do but aren’t quite sure exactly HOW to do it. For kids, we make checklists, read books, and explain things until we are blue in the face. 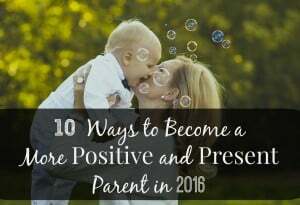 For myself, I have set 10 goals for how I can become a more positive and present parent this year, and I would like to share them with you here. I don’t like to write about what you ‘should’ do as a parent, because as we know, what works for one child may not work for another. (RELATED: Ditch The Handbook: 3 Pieces of Unconventional Parenting Advice) However, some of the best current research in psychology tells us that by engaging in a more positive style of parenting we can empower our children and make them WANT to behave rather than guilt or shame them into doing so. As parents, we have so much control. We have the ability to choose how we speak to our children, what we expose them to, and how we react to their actions. 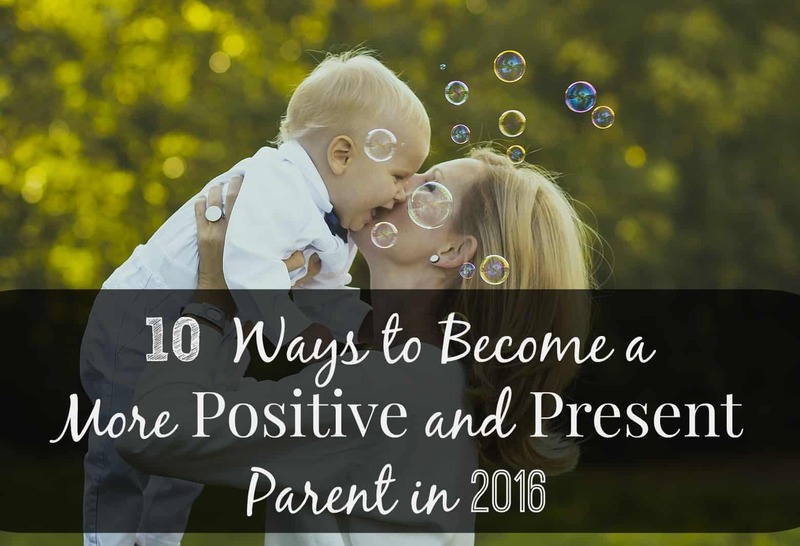 So here are my 10 ways you can become more positive and present with your own children this year. Make More Eye Contact. In a technological, busy, and scheduled world, our attention is pulled in many different directions. When having a conversation with your child, take the time to pause what you are doing and make eye contact. They will appreciate the attention and will feel heard. Speak Calmly, Even When You Want To Explode. Breathe. Taking a deep breath is so powerful. The next time you see a piece of art lovingly scribbled on your living room wall, breathe. You will be able to react much better after a breath (or two). Leave Some Time Unscheduled. 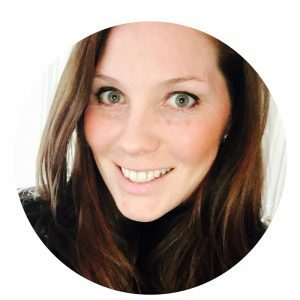 If you are a planner, schedule downtime. When looking at your week, make sure there is time built in to sit on the floor and play with your child, or have a conversation with them. Hold Your Children. Babywear, snuggle, cuddle on the couch, co-sleep, whatever ‘holding’ means to you, do it. Touch is an amazingly powerful tool that will deepen the connection between you and your child. Use Positive Self-Talk. Avoid talking negatively about yourself in front of your children. It’s easy to look in the mirror and breathe a sigh of disgust or quip that these pants make you look fat. Rather, model a positive self-esteem for your children. Emulate Kindness. Avoid relying on the phrase “do as I say, not as I do”, rather have the mindset of “see what I do, and do it too.” Modeling is one of our most impactful methods of teaching. Hold the door open for others, thank people, offer a helping hand. I guarantee your children will notice. Increase Your Child’s Self-Esteem. Be responsive and attentive. Starting with babyhood, children who feel that they have the power to get a parent’s attention and then get what they need/want will feel confident and empowered. Providing attention and meeting the needs of your child is not spoiling them. It is teaching them how to express themselves and will give them the confidence to do so in the future. Reinforce the Positive. Catch the good. When you focus on bringing attention to all of the positive things your child does rather than the negative, you will be surprised at how much ‘good’ you notice. When playing, praise how nicely they are sharing or using an inside voice. This is an incredibly effective discipline tool that does not involve the need to yell or shame the child. So here’s to the never-ending journey of becoming a better parent, we are all in this together! Love this! Such great tips here and good reminders! I love snuggling with my kids! I really like the more eye contact tip. It can make such a huge difference to get on a kids’ level and give them eye contact. It makes the conversation seem less intimidating to them. These are really great. I really want to make the effort to make eye contact when I have a request for my kids. It’s honestly something I’m so bad at, I have to catch myself and consciously make an effort to look them in the eye and I always notice a difference when I do! This is so great! I love the emulate kindness and reinforce the positive. I really love it all, sharing! I need a good reminder to get into the habit of catching the good and giving thoughtful praise!!! Great things to think about Katie! This is such a fantastic post! I shared it yesterday because I loved it so much! You always have such down to earth and practical parenting advice! This is a fabulous post! Great reminders to start off the year right! Eye contact is SO important…when someone is going through adoption, they suggest playing the staring game and using that game to make eye contact and giggles a positive experience…it helps with the bonding! Great stuff! This was such a great post Katie! So I’m going to comment again! Love your positivity! Thanks for linking up with us! “Speak Calmly, Even When You Want To Explode.” I love this. The whole list, but this one especially because I have worked so hard to stay calm. I have heard people say that positive parenting is weak, but I don’t think they truly understand the patience that it takes to think before speaking and acting for the benefit of your children. I am proud and happy to know other moms that believe in this concept and are as passionate about it as I am. I love this concept of making children want to behave. Great post for parents. Thanks for linking up at Family Joy Blog Link up Party. Yes, leave unscheduled time. I have made some changes so hopefully I can spend more quality time with my kids too. It is all about being present. I love this! I definitely want that kind of relationship with my baby, a positive one built on respect.